in an effective and efficient way. One of your regular buyers owes you mony, but he never pays.  Don't let things slide and have Advocare ® take care of business. Upon receiving a collection order against any of your debtors, we immediately judge it on its legal merits. For this purpose we ask you to forward to us all documents relevant to the claim concerned. If, in our view, the order is valid, within 24 hours we summon the debtor to pay within eight days by letter signed for delivery, and with notice of the legal interest due (currently 5% on an annual basis). If no payment is received within the period stated, we have a summons issued, in consultation with the customer. We can combine this summons with attachment if the customer so desires and if the weight and circumstances of the case warrant such a measure. If the collection is a matter of urgency for the customer, the recovery periods can of course be shortened. In addition, if required the claim can be submitted by means of summary proceedings. Bankruptcy proceedings may be instituted as an additional collection instrument. It goes without saying that we set great store by good communication with our customers. It is particularly important that we are instantly informed of any payments our customers receive after they have placed the collection order. We also need to be informed of any payment settlements agreed upon by the customer himself. The costs related to our collection activities and charged to the customer are made up of a fee and other costs (plus VAT, currently at 17.5%). Please note that sales tax is deductible for customers who are liable to VAT themselves. In this context, the amount collected is understood to include all amounts paid to the customer after we issue a summons. Provided the customer's general terms and conditions are sound, the fee based on the rates above can be claimed together with the principal amount, also in the case of legal proceedings. In that situation, the collection costs are fully compensated by the amount for 'non-legal collection costs" to be paid by the debtor. The delayed interest due up to the moment of our notification of default can also be claimed. Any other expenses will be charged separately to the customer. This item first of all includes an amount for office expenses (filing costs, postage, telephone etc.). This amount is currently fixed at NLG 100.00 per case. costs of the writ, court levies etc. (untaxed). Of course legal action is only taken after consultation with the customer, during which the costs will also be discussed. We shall charge an amount in advance if this is justified by the total costs expected. It goes without saying that we regularly inform the customer of the costs incurred. If the claim is sustained, these costs are entirely recoverable as the debtor will be ordered to pay them. However, this is not the case for payment after the institution of bankruptcy proceedings. As for the financial settlement, we distinguish between a lump sum settlement and settlement in instalments. The latter applies when a payment settlement has been agreed upon with the debtor. All amounts paid to the customer are received and/or deposited in a giro account specifically opened by our office for the purpose of accommodating such amounts: the 'third-party account". The amounts in this account remain there until they are paid to the customer who is legally entitled to receive them. Our records relating to this third-party account will be such that they clearly reflect the individual claims of our customers. The first partial invoice will at least include the nonrecurring amount for office expenses (NLG 100.00). In each (partial) invoice the customer will be charged a fee proportionate to the amounts collected for the customer, plus any other expenses incurred by us for the benefit of the collection procedure. If desired, variations of the above procedure may be developed in consultation. Please contact us if you have any questions relating to the above.